Thomas Pohnke moved all in for his last 50,000 after Carmen Zainescu raised to 15,000. 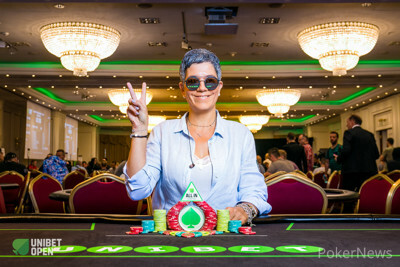 The Unibet Open Bucharest #QueenRules Ladies Event champion called the all in and they went off to the races. The board ran out :::8h:::4c:::Qs:::7h:::Jh and Pohnke was eliminated from the tournament, collecting €1,860.